Susana B Williams has been bringing her Choreographers’ Showcases to the Edinburgh Festival Fringe for 15 years. Her company, Dance-Forms, will have managed 72 such events by the time the doors open at the Emerald Theatre on 15 August having produced Showcases from Chile to Croatia, Greece to Guatemala, Monaco to Mexico. I asked her how she got the idea. In 1993, attending the 7th Saitama International Choreographers’ Competition in Saitama, Japan as one of five finalist choreographers winning prizes, I realized, noticing the number of excellent dance works left out of the finals, the importance of creating a professional organization with the defined mission of propelling the art form of choreography forward. And how did she think this could come about? Providing opportunities for emerging and professional choreographers to present and perform their work at prestigious international venues while gaining insights into becoming self-producing artists. So, in 1994 she created Dance-Forms and its first International Choreographers’ Showcase opened at the Festival Off d’Avignon in France. Late former dancer Georges Golovine and his beautiful wife Catherine hosted in their Théâtre de la Danse Golovine, the first edition of my new enterprise. The Showcase included the work of choreographers Dianne Aldrich, Anahi Galante (Alwin Nikolais Company), Peter Kalivas (Malashock Dance Company), Joy Kellman (Joy Kellman & Dancers), Julio Enrique Rivera (Alvin Ailey Dance Company), Kelly Roth, Mariko Tanabe (Erick Hawkins Dance Company), Zeynep Tanbay (Martha Graham and Elisa Monte Dance Companies), and me, Susana B. Williams (Dance-Forms Productions). There are 14 choreographers presenting 14 pieces at Edinburgh this year. What is her criteria for accepting a choreographer and their work? Above all the choreographers will have to demonstrate an ability to create original choreography, be interested in self-promotion and generate sponsorship for the presentation of their works. So of the hundreds of choreographers that have been showcased which pieces, or their creators, have been launched via Dance-Forms? 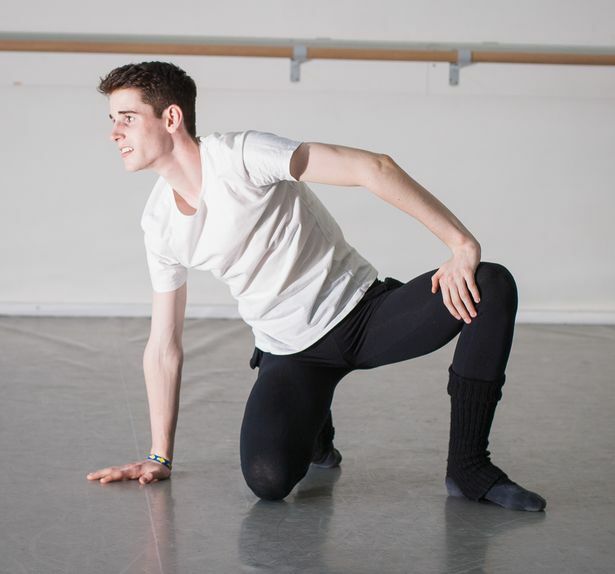 There are many, among them, Vincent E. Thomas’s performance of Come Change – an excerpt from iWitness – was invited for a full run at Dance Base Centre of Dance in Edinburgh following his appearance with Dance-Forms Productions. Another awesome work, For People with Wings, choreographed and performed by Nejla Yatkin, was presented at the Edinburgh Festival Fringe and subsequently at Centro Cultural Miguel Angel Asturias in Guatemala City and at the National Theatre of San Salvador in El Salvador, among others. Anandha Ray’s Center of Courage and Viktor Kabaniaev’s White were presented in a tour of Belarus performing in Grodno, Gomel, and Vitebsk in the same year that the two dance makers joined the Choreographers’ Showcase. Williams is a former dancer who danced well into her mid-60s. 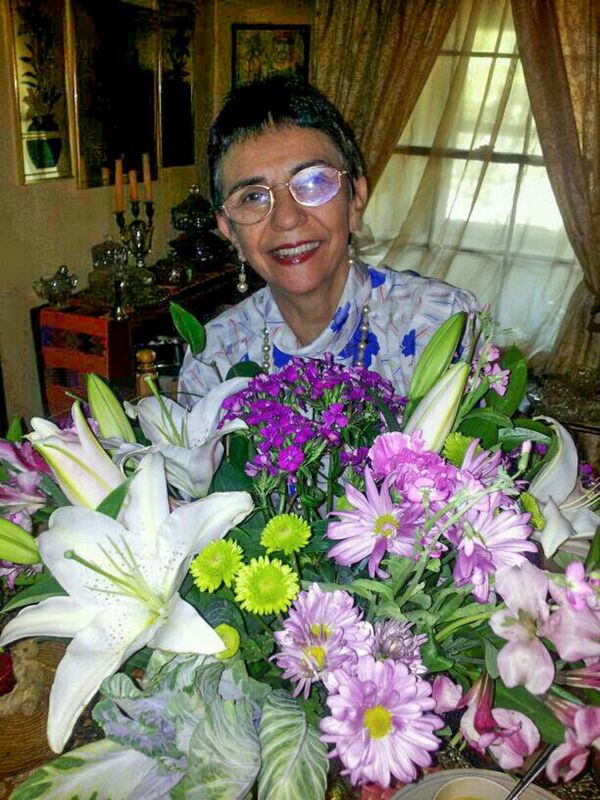 Her teaching however started back in the 1960s, and her choreography began soon after when in 1975 she began choreographing on herself, participating in the Central American Choreographers’ Competition. As Williams is from Guatemala, and has worked extensively in the area, her biography is very exotic sounding to the European ear, having worked with classical, folkloristic and contemporary companies in Guatemala, El Salvador and Mexico. As a resident of Kentucky for many years she now works extensively throughout the state as well as collaborations with the University of Utah, the Department of Theatre and Dance at the University of Alabama, the Department of Modern Dance at Texas State University, the University of Maryland, Towson University. Add into that mix her work with companies in Canada and many European countries and you get a dancer and dance-maker with a unique perspective. Utilizing my extensive knowledge of ballet, modern, postmodern and ethnic techniques my dances are created through improvisation in a process of discovery where movement ideas materialize in space and time while the body is in constant motion. My dances communicate the spaces and rhythms, shapes and forms found within the archetypal manifestations of the psyche. My focus is creating a movement-vocabulary capable of expressing subjects, which have not yet been uttered in the language of contemporary dance. 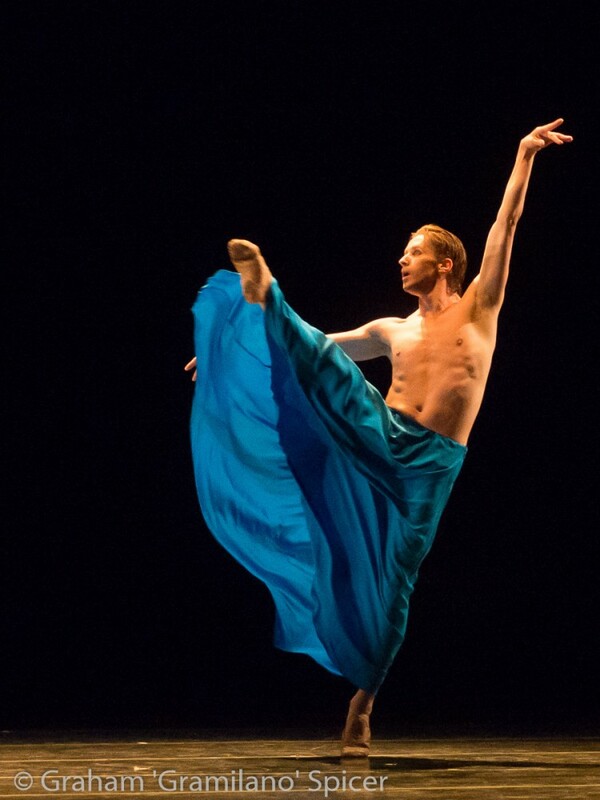 Before being contacted by Williams to ask if I was interested in writing a piece on the Edinburgh showcase, my knowledge of her came from Bolshoi dancer Andrey Merkuriev who performed one of her works in an Ivan Putrov’s Men in Motion gala that I was photographing. Influenced by my many years of classical ballet training when I look for the ideal dancer to interpret my dance creations I rely on dance-artists with the highest level of ballet training, abundant experience performing contemporary dance and exceptional creativity. After watching almost every choreography interpreted by Andrey Merkuriev I felt confident I could count on his expertise to perform my short solo Log In/Log Out for the presentation of the choreographers’ showcase at the Edinburgh Festival Fringe 2014. On his side, Merkuriev was interested in presenting a short segment of his full work Scream with Dance-Forms’ International Choreographers’ Showcase. At that point, we both agreed to establish an artistic collaboration that could be of benefit to both parties. This year the works will be seen during a programme which starts at 9.30am. Those not familiar with the Edinburgh Festival would expect to find an empty theatre, but Edinburgh works almost 24/7, so ballet for breakfast works just fine for audiences… though early warm-ups for the dancers must come as quite a shock. The Emerald Theatre will be a new venue and a larger stage for our presentation: 25 Nicolson Square offers the perfect location to attract a large audience. Usually 80% of the house is full for every performance and artists performing in afternoon and night shows have time to attend presentations at early hours. Families, students and friends of Dance-Forms Productions prefer the early hours. While wishing her well for a successful week of dance in Edinburgh… what makes her do it? I don’t think I could be happy without doing what I do for dance and choreography. Choreographers: Andrea Beckham, Kaysie Seitz Brown, Mackenzie Crosley, Jada Cunningham, Kara Davis, Autumn Eckman, David P France, Melissa Jackson, Bliss Kohlmyer, Tonia Shimin, Lauren Speirs, Hee Ra Yoo, McClaine Timmerman, Susana B Williams. Dancers: Edgar Aguirre, John Barclay, Sarah Hong, Rachel Hood, Danae Husary, Clare Bassett, Nicole Fedorov, Diarmaid O’Meara, Gearoid Solan, Michelle Nance, Kate Rast and John Christensen. “Bound” is a piece exploring the feelings of being bound or connected to someone even if you desire to be free. Once you have experienced intimacy, developed memories, and formed a relationship with someone, it is almost impossible to completely severe those unseen ties. With two couples representing one relationship, these dancers explore both aspects of being bound through intimacy and the turmoil created with the desire to be free. I’m delighted, grateful and impressed with Gramilano’s writing. He materialized this gorgeous article supporting my artistic endeavor!